A couple of weeks ago I received an email about a petition drive in Houston, Texas. The petitions are aimed at ending the Sanctuary City policy in Houston and also require E-Verify to be used in Houston. There petitions require 20,000 signatures each by about late summer 2012 in order to get on the ballot. If they make it onto the ballot and the people of Houston vote in favor of them, they will become a part of Houston's City Ordinances and Regulations, regardless of whether or not the City Council approves of them or not. Houston has especially been hit hard by illegal immigrant crimes with recent murders of Houston Police Officers by illegals. 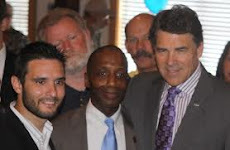 These illegals who killed police officers would likely have been deported before they could kill if Houston Police Officers were allowed to check the citizenship status of people who they arrest. I have to show my ID when I get pulled over, I do not see why it would be discriminatory to check the citizen status of people who get arrested or pulled over for an infraction not related to their race or ethnicity. Stop the Magnet is a petition drive effort seeking 20,000 City of Houston registered voters to help deter the detrimental effects of illegal immigration in our community. The “magnets” of jobs and operating under the radar in our city encourages criminal behavior and the ability to set down roots in our community. We are offering two ballot proposals to help keep American citizens in the workforce and a proactive policy for our Houston Police officers to check the identities more fully where no valid identification is presented in a probable cause encounter. American families. How can one justify all the blood spilled for our nation in the name of freedom and justice that is now abandoned to economic interests over security and the rights of citizens? Let us not allow our country to be given away by inaction leaving the next generation to wake up with no country to call their own! This is a call to action. We need to garner 20,000 registered City of Houston voters to sign our two proposals and allow the voice of the people to speak on this issue. Please help save our country by acting today. 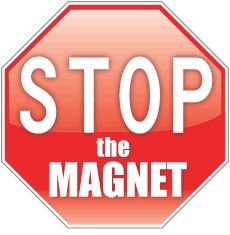 go to www.StopTheMagnet.com to read the petitions, for info on how you can sign the petition, and for more info on how you can help get signatures to get these issues on the ballot. growing connections between cartels and gangs.In Houston, there are some 200 gangs roaming.Take a look at the link and then PICK YOUR POISON. Well I have not signed the petitions because I do not live in Houston, but I would think that these proposed regulations have an exemption to checking legal status when someone is reporting a crime. Most people for sanctuary city bans are only primarily worried about catching the bad guys and so legal status would only be checked for someone who is arrested or pulled over for some kind of infraction. Over 300,000 criminals come into America each year. I don't care about good people coming over legally and making a better life for themselves. I care about keeping criminals out.